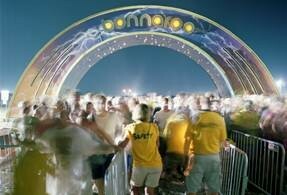 This June, 80,000 people will trek to a farm in Manchester, Tennessee, USA for the 13th annual Bonnaroo Music and Arts Festival to watch a music lineup perform on 13 stages over four days and participate in thecommunal culture that is Bonnaroo. For fans who can’t make the trip to Tennessee, Xbox and Bonnaroo will be bringing the festival experience right into your living room. This new partnership will give Xbox users access to the live Bonnaroo experience through an exclusive, interactive television event that will be streaming in high-definition where available. "This is an amazing event to bring to Xbox, to showcase our unique capabilities for delivering premium music concerts and festivals,” says Wil Mozell, general manager of Xbox Entertainment Studios. “More fans than ever before will have access to Bonnaroo and enjoy an immersive experience only available on Xbox." Setting the stage for this, the 2014 Bonnaroo Lineup Announcement Megathon, aka BLAM!, will be broadcasted exclusively on Xbox and syndicated on Bonnaroo.com on Wednesday, Feb. 19, with the pre-show event starting at 12 a.m. GMT and BLAM! at 2 a.m. GMT. BLAM! hosts, Taran Killam (“Saturday Night Live”) and comedian Hannibal Buress, will reveal all in this Bonnaroo-style party featuring a SuperJam with the Flaming Lips and Ben Folds, plus special guests. 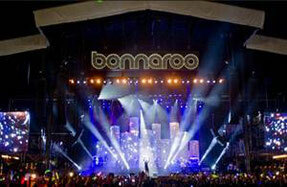 Just download the Bonnaroo app from the Xbox Live Dashboard on Wednesday, Feb. 19 and get ready to watch. It's really a great and useful piece of info. I am happy that you just shared this useful information with us. Please keep us up to date like this. Thank you for sharing.